“They began to speak in other languages,” the writer of Acts enthused. In other words, all could understand God’s ways and witness! Jesus’ followers were suddenly transformed into Christ’s leaders! I’ve gritted my teeth when reading where those languages came from: the pesky Parthians, the mysterious Medes, the elusive Elamites, and on and on continues the scriptural litany packaged as a geography lesson for the Roman Empire. Of course, if you’re a professional minister proclaiming the seriousness of Pentecost, you mask your EAS (elocution anxiety syndrome) and read with confidence. But tell the truth! Hasn’t everyone felt sympathy for the pastors or lay readers white-knuckling the pulpit with sweaty hands as they prepared to speak about Phrygia, Pamphylia, and other pronunciation traps? We, yes we do, guffaw. Even Mona Lisa might crack a wide smile. And don’t the best and worst of us wonder: could old Peter have said the same if it were noon or after five in the afternoon instead of nine in the morning! When did the average disciple begin to quaff a brew or two? When did the typical Galilean pop the cork and sip the wine? And yet, between the unpronounceable geographical locales and a pronouncement from Peter that begs laughter, those two spare, stunning, seminal sentences appear. According to Acts, some of the gathered onlookers posed a question. Others made a statement. I believe the question and the statement reflect a key difference in personal faith. What does this mean? . . . was the question by some in the crowd. Confronted by the unknown, by the strange, by the unexpected, by the peculiar, the What does this mean? question some asked indicated the possibility of learning and growing. Or maybe you could also say, when confronted by the known—by persons speaking their language, able to listen to their concerns—some in the crowd were also stunned enough to ask the question. How many of the foreigners had become accustomed to being ignored, to feeling treated as an outsider? With apologies to Robert Heinlein’s classic 1961 sci-fi novel, how often do you feel like a stranger in a strange land in your own “land,” home, school, office or . . .? For some in the crowd, they felt less a stranger and more a neighbor. Others jeered at them, saying, “They’re all full of new wine!” . . . was the statement shouted from the crowd as they witnessed the boldly babbling disciples. They are drunks. They are fools. They are useless. We discount people. We deny people. We devalue people. Racism* represents one of the most anguished struggles the United States continues to confront. (Or continues to avoid?) Though there are far too many examples, the 2014 killing of Michael Brown in Ferguson, Missouri and the recent rage in Baltimore over the death of Freddie Gray were—to my aging baby boomer, white, liberal, progressive Christian, raised-in-the-suburbs limited way of understanding and believing—partly caused by the ingrained “statements” still prevalent in our cultural. Too many assume (and just enough of those too many are police) that others (and far too many of those others are “people of color”) should be automatically distrusted because of the shade of their skin. 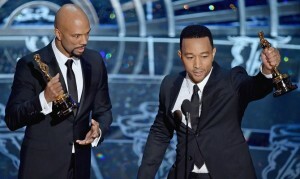 When musician John Legend accepted his 2014 Oscar, he accurately declared, “There are more black men under correctional control today than were under slavery in 1850.” Legend conveyed a bitter truth about the ongoing cost of our racial assumptions. Our racial values are anchored to old, festering statements. Without thinking, without questioning, we discount, deny, and devalue neighbors who are “different” than us. When will ask what it means for our society to keep “chaining” more black men in the 21st century than in the 19th? Can we change our views and values? Pentecost honors the historic birth of Christian community. But Pentecost becomes a dull history lesson if only old statements and old beliefs influence our faith. 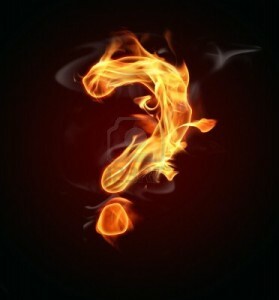 I believe the flames of Pentecost are shaped like question marks . . . What does this mean? What will I learn today? How can I become more Christ-like? 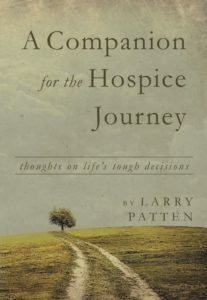 How can I give up old ways and risk God’s new life? *I could’ve chosen another “ism” other than racism—like sexism or ageism or . . . But even with this essay’s limited words on the subject, and my biased opinions in general about all “isms,” I believe most rifts in our society (and our faith) have to do with clinging to old values and/or allowing yesterday’s fears to guide today’s decisions. The best questions of faith keep us open to God’s lure of neighborly love. And blessings to you from Fresno, Marc! Thanks for reading! !